In celebration of their 100-year-old existence, KWV Brandy embarked on a journey of reflection, but also of rediscovery and reimagining a drink that is appreciated by all. Over the course of the past month, chefs and mixologists showed off their mettle as they pulled out all the stops to reinvent and reimagine how we enjoy a national staple: brandy. For their effort, the winners won a rare bottle of KWV Nexus worth R24 000. 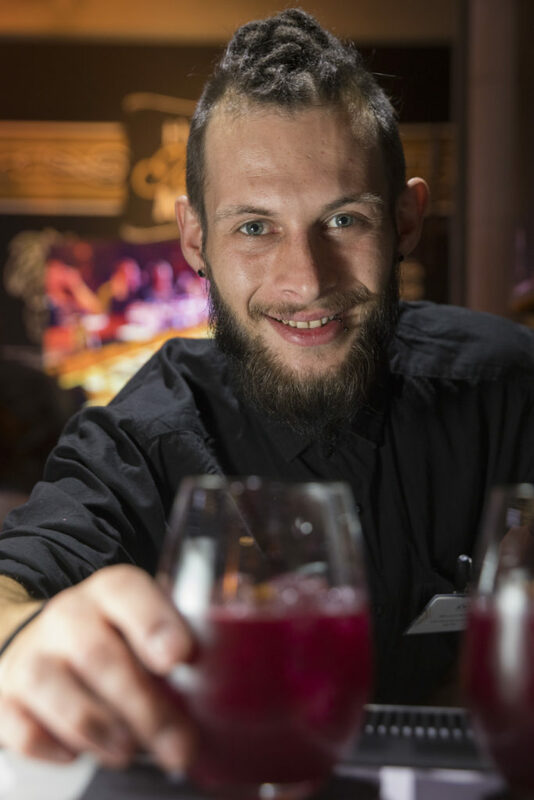 Twenty competitors from Cape Town, Durban and Johannesburg had to compete for top spots in two regional bartending competitions, held at Cause | Effect Cocktail and Brandy Bar, and Mootee Bar. Submitted to rigorous judging procedures, these bartenders were tasked to develop a cocktail which genuinely captures the tagline ‘KWV Brandy Reimagined’ and which will poise KWV Brandy for its next century. 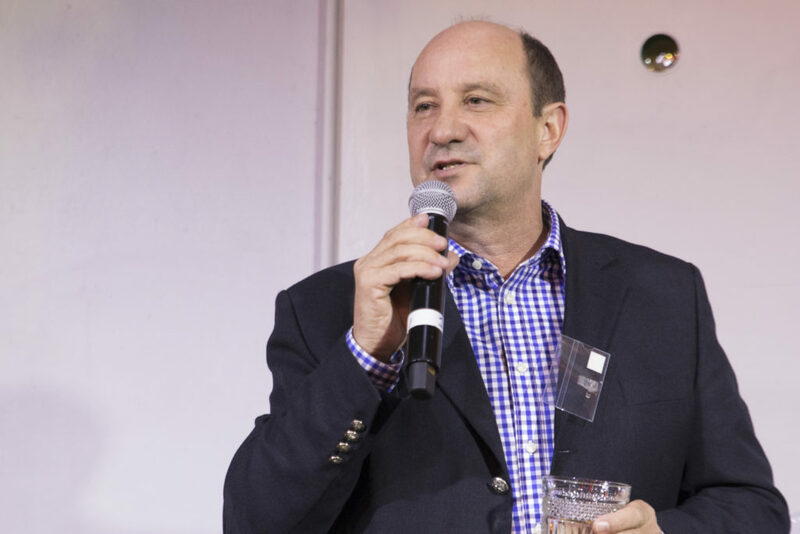 Based on their overall scores which included points for aroma, taste, appearance, balance, brandy pairing and presentation, KWV Brandy’s panel of expert judges was hard pressed to narrow the search for KWV Brandy’s Futurist to the Top Five – which was scored out of a possible 100. The Top Five who competed at KWV Brandy’s brand home “House of Fire” in Paarl, in the Grand Finale included, Ahe Jafta, from Craft Link, Johannesburg, Bruce Dorfling, from Lucky Shaker, Durban, Martin Strobos, from Bar Solutions, Johannesburg, Maynard Booyzen, from Sin + Tax, Johannesburg and Melrick Harrison, from Twankey Bar, Cape Town. Booyzen was succeeded by Melrick Harrison, who provided stiff competition with his chocolate-inspired cocktail called Before and After. Judges over the course of the competition, included renowned bartender Dom Walsh, of Mootee Bar in Johannesburg; Sowetan S Mag editor, Thembalethu Zulu; drinks writers Leah van Deventer and Jan Laubscher; KWV Brandy distiller Pieter de Bod and KWV spirits blender Ilse du Toit; singer and actress Bianca Le Grange and lifestyle influencer Seth Shezi. The panel was chaired by global cocktail competitor and judge, Kurt Schlechter of Cause | Effect Cocktail and Brandy Bar in Cape Town. 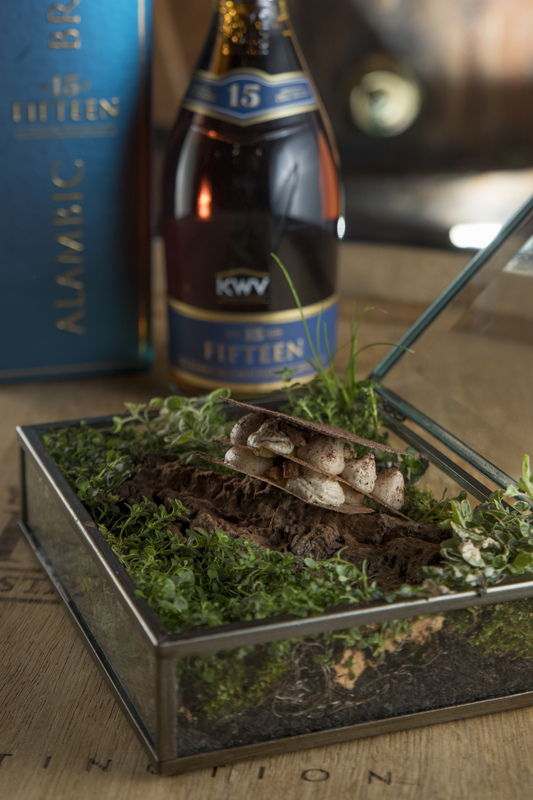 In a separate leg of the competition, five chefs from Cape Town were asked to develop a gourmet-style canape to pair to the World’s Best Brandy, the KWV 15. These ‘gourmands’ included Timothy Pick, from Foxcroft, Gustaaf Boshoff, from Stir Food, Zenildo Leite from Smak Deli, celebrity chef on Afternoon Express, Clement Pedro and Masterchef-judge and consultant chef, Pete Goffe-Wood, who effectively released brandy from the confines of cheese and chocolate pairings with canapés that showed KWV Brandy’s ability to partner with dishes of real complexity. served on a container with a forest floor inspiration and layered with wild mushroom puree and offset by dried apricots to complement KWV Brandy’s fruit notes. 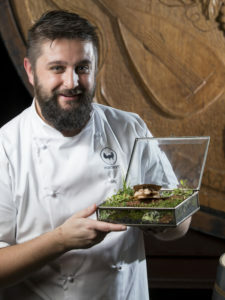 Leite, a fairly newcomer to the chef scene, transformed the humble baby potato into a delicious partner for KWV 15 – using blue cheese créme and berry compote as toppings to complement the drink’s smoky and sweet aftertaste – and was awarded runner-up for his efforts. Judges in this competition were esteemed sommeliers, qualified in identifying and presenting food pairings at some of South Africa’s most exclusive establishments: Juliet Urquhart from Silo Hotel, Mercy Mwai from One & Only, Marlvin Gwese from Cape Grace, Spencer Foundaumiere from Burrata and Elton Damon from La Colombe.